1. the quality of the partners, their involvement, their knowledge of the sector, their expertise and their network of contacts. 2. the quality of communication, the size of the budget, the choice of the best media and communication channels to reach the target audience. 3. the quality of business meetings, enabling real economic development and commercial exchanges between professionals from the sector. 4. the quality of the venue, its location at the centre of the capital, at the centre of Europe, its accessibility, the quality of the exhibition space, its reputation and its environment. 5. the quality of the chosen dates, in the heart of Mobility Week, bringing together hundreds of thousands of cycling practitioners in the streets of Brussels. 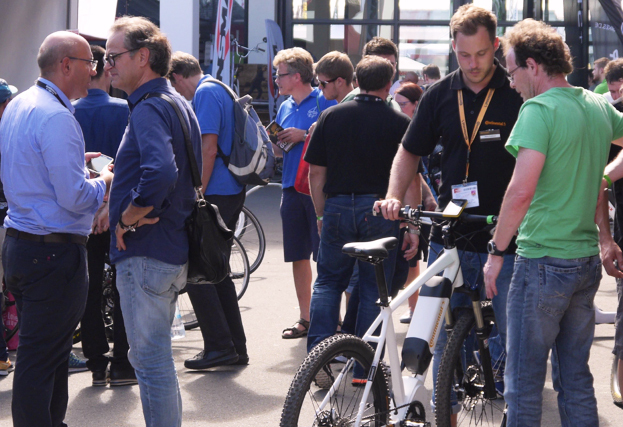 6. the quality of the products and events (seminars, lectures, activities, test rides…) present during the Fair.